Revenue Cycle Management (RCM) is a necessary piece of the healthcare puzzle and it remains an integral part of the success of any healthcare business. When a clinic outsources the management of their revenue cycle, they entrust an outside company to handle coding, claim submission, collections, et al. Some practices choose outsourcing RCM due to cost-benefit analyses, spacing and time issues, or convenience. Other practices retain in-house management of the revenue cycle, traditionally when they have experienced, trained coders on staff and a time-tested process already in place. All practices are not alike and have their own nuances to their revenue cycle. Look within, and evaluate your current situation to determine whether outsourcing is right for you. Whether or not you have considered partnering with a revenue cycle management firm or not, I am sure you have heard both success and horror stories. Below, I’ve debunked four common myths about revenue cycle outsourcing. Revenue cycle outsourcing can lead to maximized reimbursements and minimized billing errors when the right partner is selected. Certified and experienced coders ensure aspects of the cycle are completed correctly, saving (and earning) you more dollars in the long-run. At the most basic level, better billing knowledge, experience and specialization leads to better bottom lines. Outsourcing the management of your revenue cycle can also save vital administrative resources. Improper coding results in denied claims that delay the reimbursement process and require you to determine the problem, resubmit the claim, or begin the appeals process. Having certified experienced coders ensures things are done correctly. Outsourcing actually grants your practice more time. It frees up the leadership team to focus on the various elements that will grow your practice, rather than chasing dollars that have already been earned. With that, increased accuracy and follow-through, cash flow speeds up and collections become more successful. The time spent coordinating outsourcing the management of your revenue cycle is quickly compensated for by the efficiency that follows. Hiring an in-house coder may sound cost effective during an initial comparison, but consider the short and long-term implications. New staff require time set aside and cost to interview, train, and supervise – all of which take away from someone’s schedule. Long-term considerations include sick leave, vacation time, and employee turnover. In-house employees are a fixed cost; you will need to provide salary, vacation, space, etc. regardless of the success of your practice. 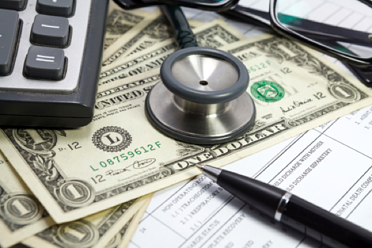 When you outsource, you pay a variable cost that fluctuates with your practice. Additionally, there’s the actual physical space required for an in-house billing staff. Could that office space be put to a better use, one that generates revenue for your practice? This is a very common myth when it comes to outsourcing. You can, at times and for various reasons, hold back portions of the revenue cycle to be managed within your practice. There are pros and cons to that approach. The most common scenario is when a practice has experienced, certified coders they want to retain. So, this practice would continue to handle the coding. The caveat with this is that the coding team should also be responsible for any denials and appeals as they were the ones managing charge posting, coding, etc. Health Information Services has been providing revenue cycle outsourcing services for the past three decades. We have over 65 experienced Certified Professional Coders ready to relieve any pressure the barrage of regulations, legislation, and payor policies have placed on your clinic. Admittedly, we approach this topic with bias, but it’s a bias that consistently proves itself true and stands the test of time. Outsourcing revenue cycle management works when done right. It allows you to focus on your patient care and growing your practice while keeping an intact bottom line.